I'm always one to root for the underdog. I want companies to try to find more efficient ways to do what other companies do expensively. I'll say that most of the time, that works out great. For example, I just bought a Coolster 125cc pit bike to get around the pits at hillclimb races, and couldn't be more impressed. It's definitely cheap Chinese manufacturing, but that's exactly what's called for in a pit bike. Unfortunately I struck out with CXRacing, and wanted to share my experience with others. I've been encouraged by a couple of inexpensive aluminum radiators that treated me well in past cars, and decided to count on them for my most recent purchase of an exhaust header. 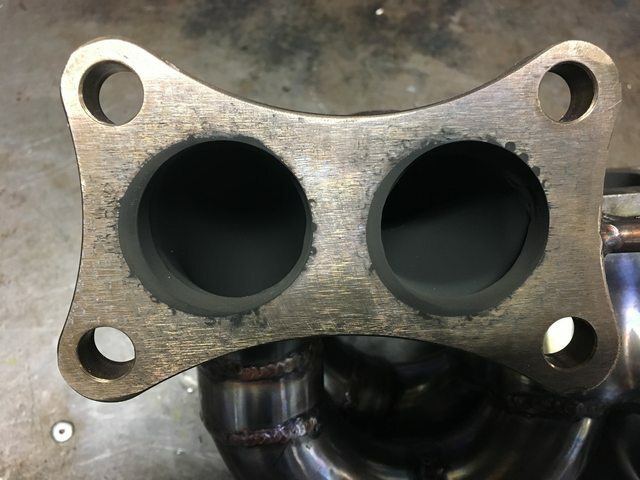 I ordered https://www.cxracing.com/header-manifold/header-manifold-mazda/HD-MIATA18-1-1 from their eBay store because eBay has additional buyer protections built-in. It looked like a good design, but when it arrived, I quickly realized that it wasn't equal length at all. The front runner is a foot longer than the rear two runners, and now my Miata sounds like a Subaru. Anyway, before I could install it, I took a good look at where the exhaust gases would be going. The only obvious flow problem was at the header flange itself, so I spent some quality time with a die grinder and smoothed that out a bit. I'm not going for perfection here, just breaking those hard angles that would cause big pressure pockets in the exhaust. Despite the vast differences between runner lengths on this "equal length" runner, I had a race event to prep for and I was committed. I got it on, made a blockoff plate for the EGR valve, and re-routed a few hoses. I definitely didn't gain any power from this, but it allowed me to finish making my new exhaust, which allowed me to move my seat further inboard. I tried to explain that they had made a mistake (or lied?) about what they had sold me, with photographic evidence. Hi, the photo you sent to us show the received item is same as our listing. My issue is that it's sold as an "equal length" manifold, and wasn't even close to being equal length. There is almost a foot difference between the front and rear runners. unfortunately we do not have much feedback as to what kind of power gains are typically expected using this header, many of the cars that we have seen this being used on seem to run just fine and have decent power curves but again being that we do not have the ability to fully test any gains/loses we cannot specify exactly what is to be expected with the header especially since many engines are built differently so comparing dyno numbers from one engine build to another may not always show the same results. It looks just like the photo for the listing, but based on the title/description, I had really expected equal-length runners. I don't think I have the shipping label, but the order number is attached to this message. Can you please take some pictures of the item that you received with the shipping lable and attach them on ebay message? 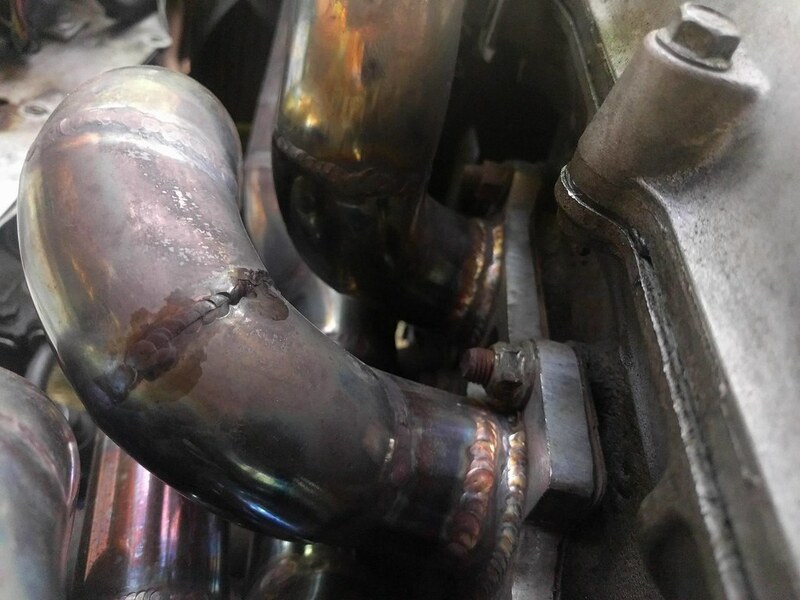 After installing and hearing the exhaust note on this header, I measured each of the runners. They aren't even close to being equal length (especially the front runner), which was one of the main selling points for me. After a dyno tuning session yesterday, I found that I've lost 4 ft/lbs toward the top end (but gained around 5 ft/lbs between 2000-3000rpm). That's the opposite of what I'd like on a race car, so I'm pretty disappointed overall. Before I leave feedback, is there anything I might be missing here? During that time, I had one race event. 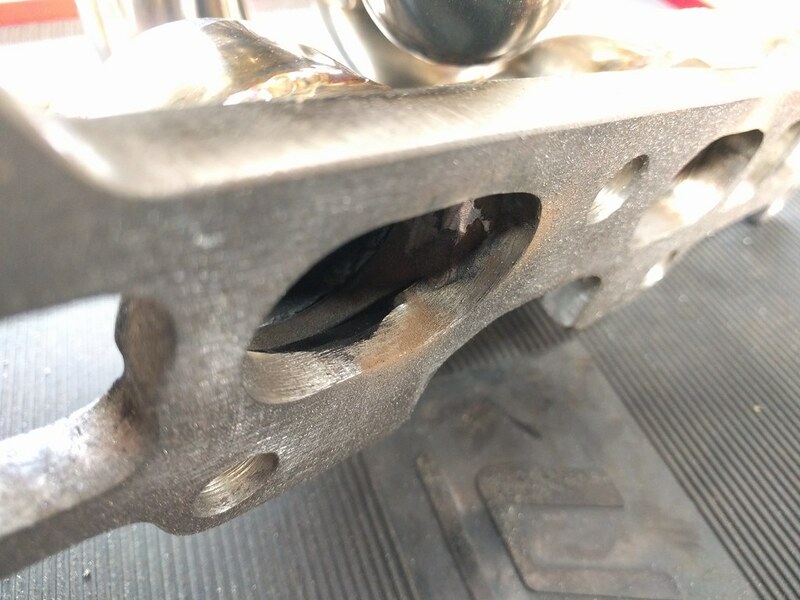 At the second event, I found that the welds were insufficiently penetrated and were coming apart at the seams. This was a clear manufacturing defect, and the only dignified way I could see around it would be to return/replace it (even if I'm not excited about the design, a company should at least stand behind the quality of their work). I'm completely checked-out trying to deal with their eBay support. In a last-ditch effort to let them get out of this in a dignified manner, but even if they do step up and provide reasonable support this is much more work than it should have been. I think I found the listing on eBay and yeah, they say "equal length" in three separate places, even "equal length runners" in one place. If the runners aren't equal length then that's a big strike. The welds failing so fast is ridiculous. It's not like I didn't give it room to move, either. 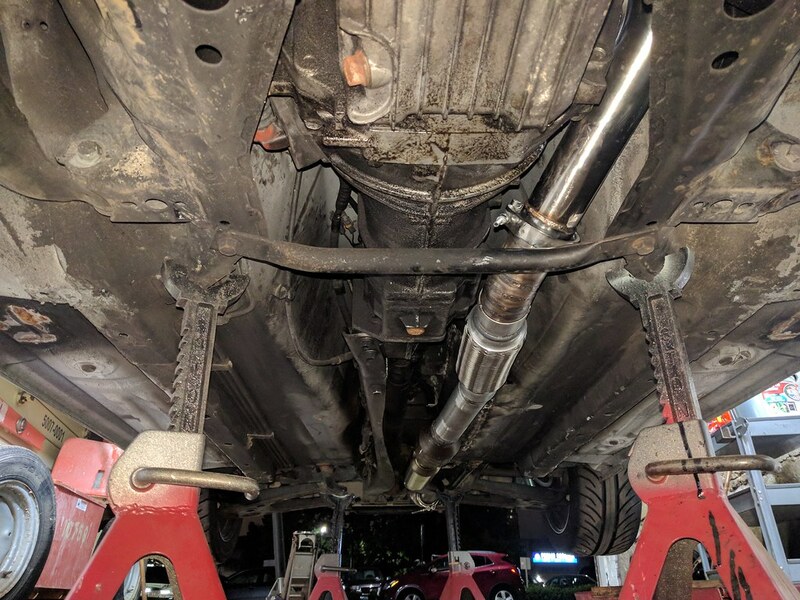 That's a 14" long flex pipe right behind the header. Sometimes, the reason things are expensive is because there's actual R&D and support behind them. Sorry to hear you're having trouble. I bought their KA24E turbo kit last year. Mainly because they were the only game in town. I opted for the heavy duty manifold upgrade, fitment was a little off, but quality seems decent. 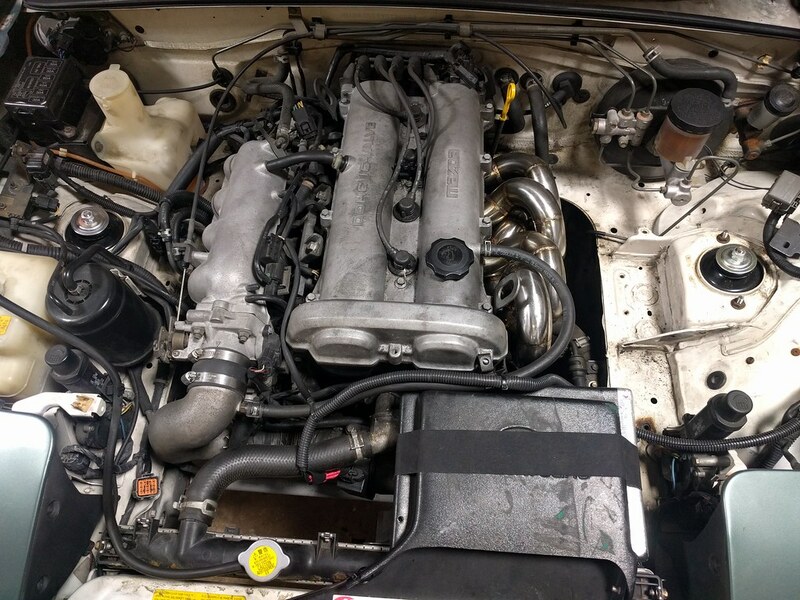 I ended up match porting the manifold myself. The downpipe fitment was off too, so I had a bit of massaging and tweaking to line everything up. As cheap as the kit was I felt I got my money's worth. Claiming that header as "equal length" is E36 M3ty though. Don't blame you for being upset. Absolutely. I had originally planned to go with the Racing Beat, but it was out of stock with both Flyin' Miata and Good-Win-Racing. I buy almost all of my parts that quality matters on at those two stops. I knew I was taking a gamble, and am fine with some fit and finish problems. What I'm not fine with is being lied to in an item description, then provided no support when it fails. I just wanted to share my experience as a word of caution that others may want to consider when trying to decide what to buy in the future. Most of the time, all I'm looking for is, "acceptable." My cars see enough iterations that I rarely get caught up on one solution to a problem. I know I'm looking for a temporary solution to a problem and will learn more as I develop the car, which will change the needs for that part. 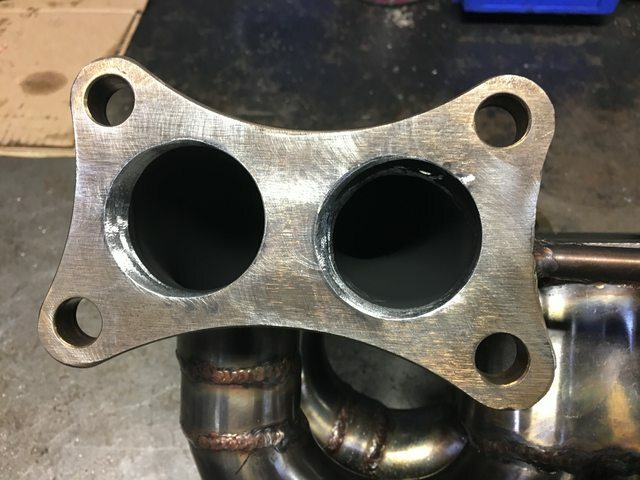 One of the most disappointing parts about this is that they were one of the only options for a 13b exhaust manifold that was thick-walled enough and would fit my Datsun setup. Now that I don't trust them, I'm just going to have to set aside time to build a jig and make my own design. Racing Beat dropships those headers for everyone, so if they run out of stock we all do. They have occasional long backorder periods, it's frustrating. Agreed on accurate descriptions and after-sale service. The former costs nothing to do right, although some will deliberately put out bad info to make a sale. The latter costs money, and maybe they've made the calculation that it's cheaper to burn a customer than to make it right. That's probably true in the short term, but very much not so in the long run. That makes perfect sense, but kicks it off the option list when preparing for a specific event. The other option would be to go with the known-workable ebay-knockoff-of-the-RB-design. For right now, I think I'm just going to re-TIG the cracked of the header myself, and limp it along for an event. After getting through the last event of the season, I'm going to have to hack off the front section of the exhaust to mate up with a "standard" manifold again. Racing Beat is better than Jackson Racing? Racing Beat publishes better, more detailed information about what components they're building with. That's the only difference I really care about. well, I have a new in open box 94-97 JR header bought in march 2015 that could use a new home. would that be better than the cxracing one currently installed? I don't think I've ever taken a JR header off and not discovered a crack. They were changing designs and manufacturing facilities really quickly there for a while so you never seemed to see the same one twice. I don't know the current status, I'll admit I haven't seen one for a while and hopefully they've got it sorted out. IIRC the primaries are pretty short so they're optimized for really, really high rpm or maybe a second order harmonic. Last time I measured, I think I figured they worked best at 9000, which may also work at 4500. Duly noted. I generally dance between 5000 and 6750 at hillclimbs, but I'm willing to give it a go. Other than the intake (also JR, I'm not particularly impressed with the design) and the CXRacing exhaust manifold, it's a bone-stock engine. You have my attention, pending outlet diameter (looking for 2.5") and price. I'll have to hack off the end either way to add a vband connector, but it's better starting point than a huge, unequal-length, cracked CXRacing manifold! I'd do it. Sounds like a pretty good option for you. ... and still hasn't responded to my emails. The best-case scenario for this is that I spend an hour or two in the shop to temporarily stop the leaks in it. Without cutting it apart entirely, there is no way to fit a torch in to weld all these sections together. It might survive one race event, but it's a total loss. The offer to refund 10% of what I paid for something that failed due to your manufacturing is a good indication of how you choose to stand behind your product. As such, you just lost my business going forward so don't bother with the refund. Also, please stop lying to your customers by marketing this as an "equal length" header. Unfortunately there is no warranty and you are past the 45 day policy. I can have a refund issued of $40 so you can have the cracks re-welded . Please let me know if you are interested in the refund. ... and now I can call that issue closed for good. I don't want to throw the individual rep under the bus, so I redacted their name. I understand that sometimes customers have unreasonable expectations, but this is a pretty blatant case of not caring about a customer who had a raw experience with them. Hopefully those of you who decide to give them a chance anyway have a better experience than I did. I'll patch this up as best I can to get through the next event, then it's probably going to get a cheap throw-away replacement to get me through winter.